Since 2010 Vintage Rose Catering has created beautiful English style weddings. 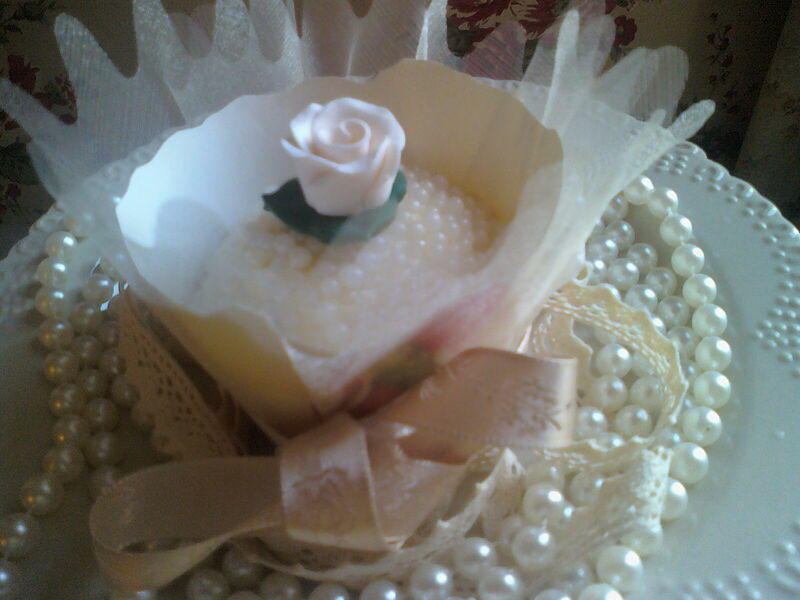 Vintage Rose Catering is based near Chesterfield, Derbyshire. 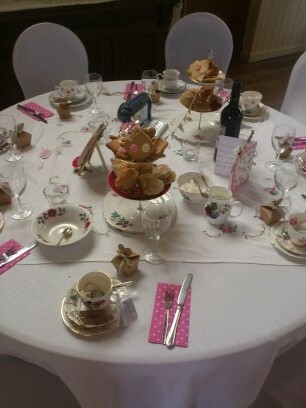 We style and create beautiful Vintage styled weddings and Afternoon tea weddings. 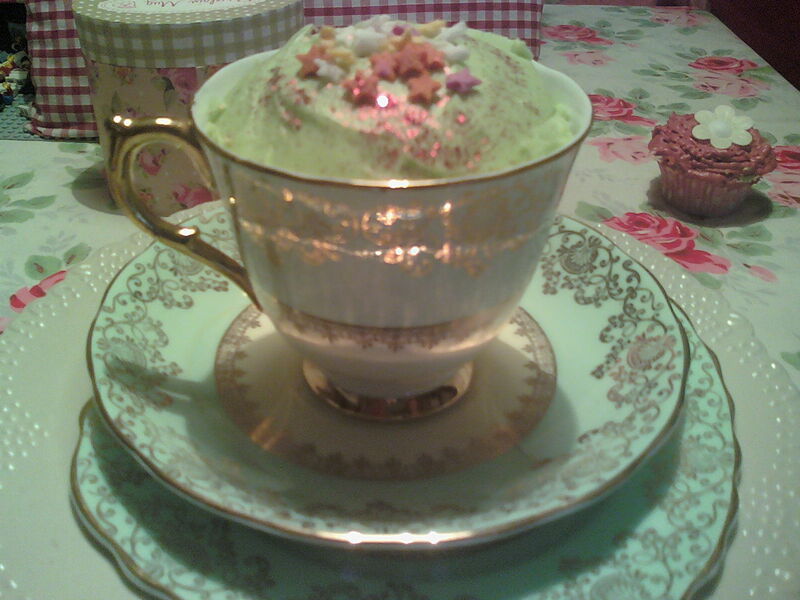 Vintage China Hire Service. We hire out up to 200 place settings. Wedding Afternoon Tea Party catering from £15 per person not including service/table linen. 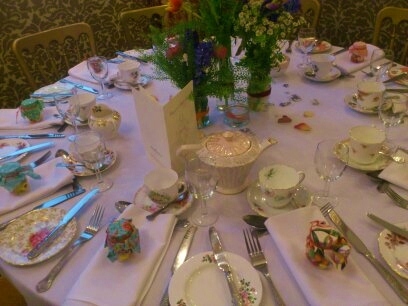 Hotel suppliers of Vintage China Tea sets. We bring to your venue and can set up tables. Vintage themed fabric bunting hire. Hen Party textile, beauty, crafting or storytelling workshops. Wedding cupcakes and stand hire. Freshly baked cake(s) in lots of flavours. Wedding picnics freshly made and delivered in Picnic baskets. Prices on request. See our other pages for ideas on our Hen parties, celebration cakes, and fantastic Afternoon tea parties. Whatever your theme get in touch to see how we can help your plans.